Accurate flight model performance and speeds. 1600x1600 2D panel designed to simulate the challenge of 1950's ocean navigation. Has photo 360 views. 2D panel and 3d object exterior by Sergio Santagada. 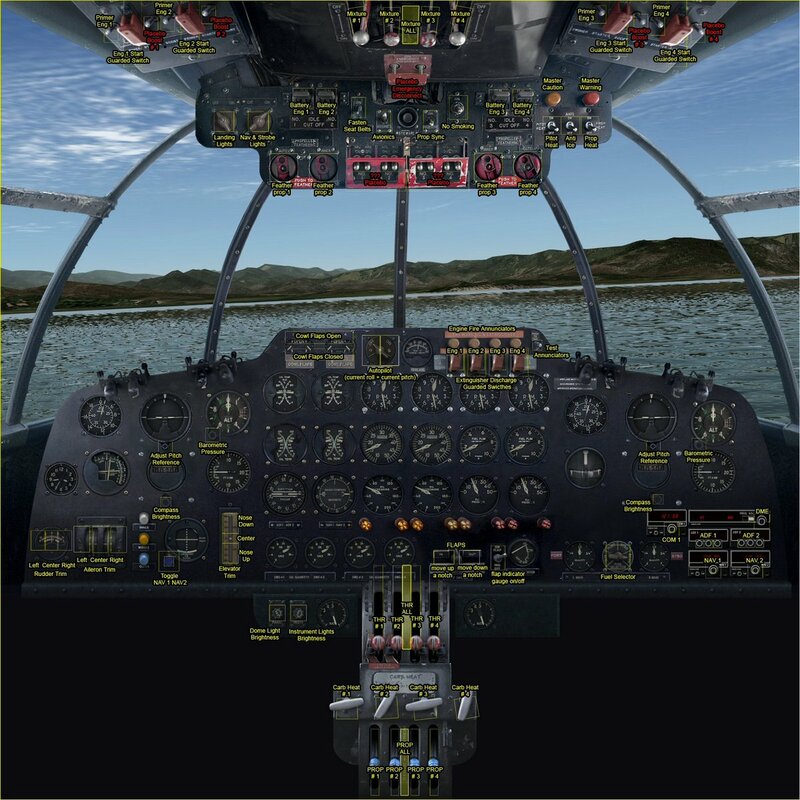 Note on the cockpit: The 2D panel was made by Sergio Santagada who was the 2nd most important person in xplanes early development, 2nd to Austin. He made all the early default instruments and scenery. 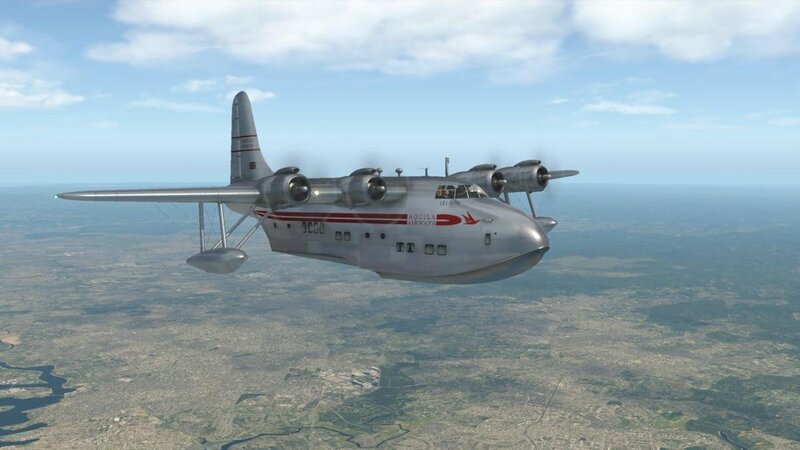 He did an amazing job for me on the Solent panel because as a child he used to watch it take off and land in italy. 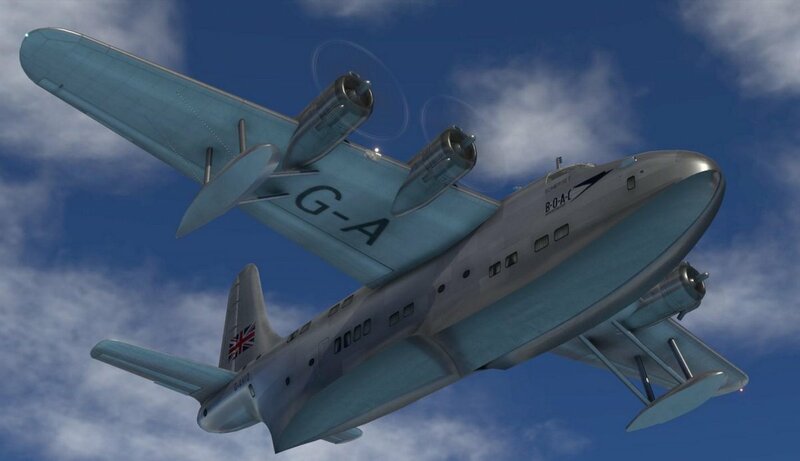 In my opinion it is one of the best 1950s 2D panels i have ever seen so i decided to keep it as the way the plane is controlled and just have a simple 3D cockpit for eye candy. Therefore the 3D cockpit is for eye candy only, you still need to use the 2D panel to control the plane. 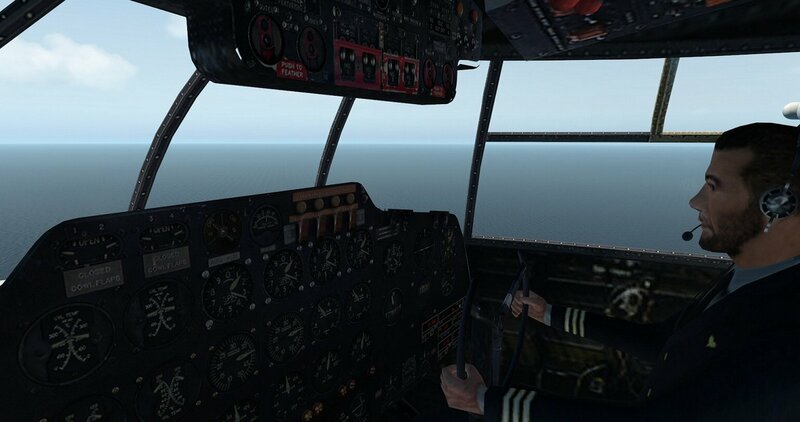 Press ALT w for 2D panel, best is to set your control stick buttons to 3D cockpit/2D panel. 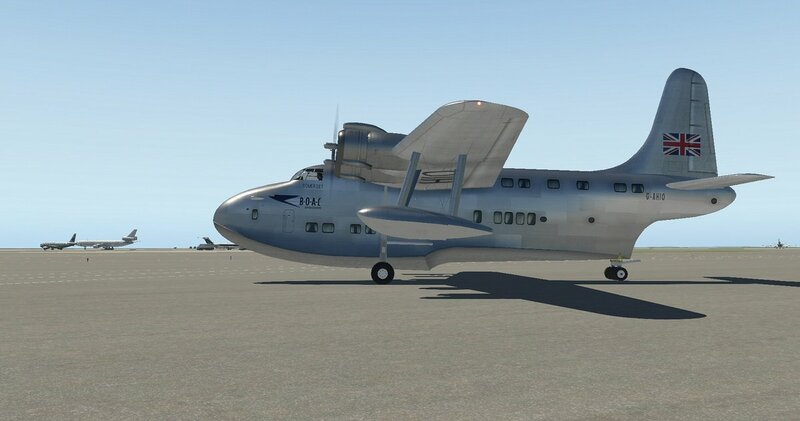 Part of my intention on this project was to make sure the plane would be able to simulate the challenge that ocean navigation was in the 1940's and 1950's. Relying only on VOR and NDB and relying on complete dead reckoning in certain areas of the ocean. There was no satellite or inertial navigation, and the cruise altitude was too low to be getting vectors from air traffic controllers. 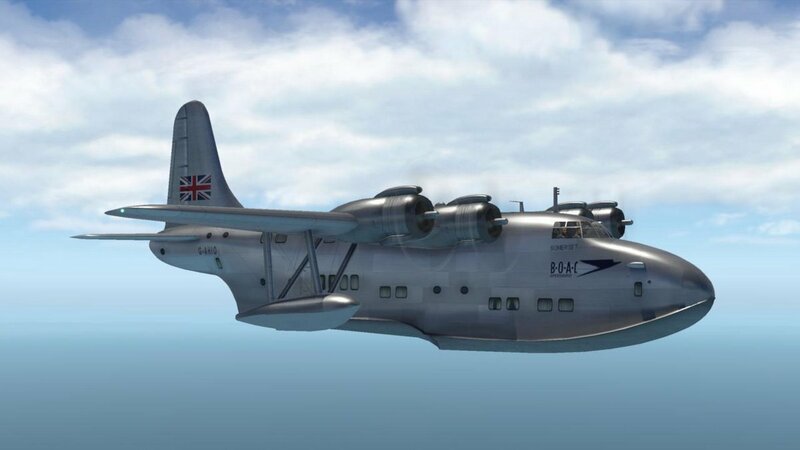 like many airplanes of this period the Solent has a retractable glass astrodome for using an octant for navigation which is the aviation equivalent of the maritime navigation tool known as the sextant. Aviators and sailors used to calculate position by not only observing star position but the most common object to "shoot" is the sun. Although Xplane doesn't have an option to simulate this, mf70 had a great idea of using the lat/lon output of the "show data" screen, with a small piece of paper covering the screen over the decimal part of the lat and lon so you'd have the limited accuracy of the octant. "Giving you just enough data to give you a sense of wind drift. Once you get near the islands, you'll be able to use radio homing." "The farthest NDB I heard was in excess of 500 nautical miles. I found the available autopilot was more than adequate to relieve the burden of constantly being at the controls but constant monitoring of the progress was critical to accurate navigation, or one becomes seriously lost. Being very lost over the vast pacific is a very disconcerting feeling. 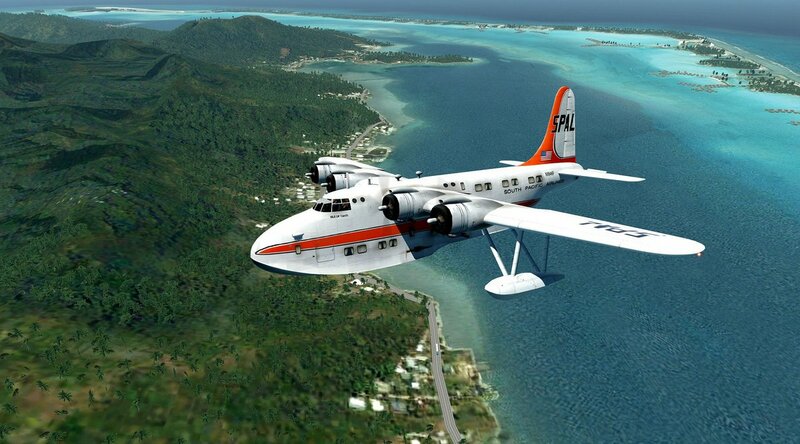 According to my calculations with a gentle tail wind of about 6 knots and at a cruising speed of 210 knots, I'd have reached Hawaii in something like 14 hours, (with another 5 or 6 hours left in the tanks) at economical cruising speeds."